No Oral Testimony Required Under The Circumstances. We found Marriage of Clarke and Akel, Case No. A151888 (1st Dist., Div. 5 Dec. 11, 2018) (unpublished) to be an interesting case given that it involved an intersection between family law and civil discovery procedures. The essence of the matter was a discovery dispute between parties to a marital dissolution proceeding. Eventually, ex-wife was ordered to pay to ex-husband $15,000 on a discovery motion to compel under CCP §§ 2023.030(a), 2031.310(h). The principal challenge was that the family law judge erred in deciding the discovery dispute based on declarations, rather than admitting oral testimony. The appellate court affirmed. Nothing exempts family law cases from application of discovery principles, which routinely allow these disputes to be resolved through declaration testimony. This is contrasted with substantive order to show cause matters, which usually require oral testimony unless the parties stipulate otherwise. Beyond that, ex-wife did not object to the declarations such that any argument otherwise was waived. CCP § 1987.2 Prevailing Party Fees In Subpoena Context Might Depend On Who Met Litigation Objectives, Although The Test Is Not Crystal Clear. John/Jane Roe v. Halbig, Case No. H043248 (6th Dist. Nov. 20, 2018) (published) is an interesting, but somewhat perplexing, opinion on the fees to be awarded to a party which ultimately prevailed because the other side withdrew a subpoena, which did allow for a prevailing party award under Code of Civil Procedure section 1987.2(c). Although adopting a “did you achieve your litigation objectives test,” it was only done under an abuse of discretion standard such that the test is not crystal clear at all as far as providing a benchmark guidance for future litigants. We are not complaining about the result, but benchmarks are good. What happened was that plaintiff sued certain doe defendants in Florida about alleged comments made by them on websites/social medical websites. Plaintiff served a subpoena on Google, who coughed up the account holders—including the doe defendants. One account holder filed a motion to quash the subpoena under CCP § 1987.2(c), which includes a fee-shifting provision in the prevailing party’s favor. Plaintiff withdrew the subpoena, with the doe defendant found to be the prevailing party although the trial judge only awarding $22,000 out of a requested $42,581 in fees. The appellate court remanded for a “re-do” of the fee determination. It did determine that a challenging subpoenaed party could be the prevailing party under circumstances where a subpoena was withdrawn, although did not articulate a clear-cut test. Rather, it found no abuse of discretion with the trial judge adopting a “prevailing party” test where the party achieved its litigation objectives, although discussing under tests under the anti-SLAPP statute (although a catalyst test was rejected) but only deciding that the “litigation objective” standard was a reasonable one to use. $150,449.49 Was Costs Award To The Successful Defendant. Litigators at both the federal and state levels are fully aware of the expense which has been added to litigation based on having to produce electronically documents/information in cases (also known as “ESI”). The next opinion demonstrates that ESI expenses can be recouped by a successful party as being “reasonable and necessary” to the litigation under the discretionary costs provision contained in CCP § 1033.5(c). In Dremak v. Urban Outfitters, Inc., Case No. D071308 (4th Dist., Div. 1 Mar. 23, 2018) (unpublished), three plaintiff consumers, on behalf of a certified class, lost a consumer ZIP code sales information case against Urban Outfitters, with the trial judge awarding the defense $150,449.49 in defense costs—a lot of which were associated with expenses incurred to produce electronically stored documents in response to plaintiffs’ discovery requests. The 4/1 DCA found this award was no abuse of discretion. Given that activities associated with e-discovery analytics and database searches are “reasonable and necessary” to the conduct of the litigation under CCP § 1033.5(c), the defense correctly was allowed to recoup these costs against the unsuccessful plaintiffs. Sanctions Justified, In Part, Based On Prior Inconsistent Position By Challenging Litigant. In Padron v. Watchtower Bible and Tract Society of New York, Inc., Case No. D070723 (4th Dist., Div. 1 Nov. 9, 2017) (published), the appellate court faced the answer to this question: Can a superior court impose a hefty daily, continuing monetary sanction against a party who steadfastly refuses to comply with a discovery order? Answer: You betcha, to the tune of $4,000 a daily under the right circumstances. Those circumstances were the right ones here, especially where the challenging party had argued earlier in favor of a monetary sanction versus a more severe terminating sanction. Charles S. Fax Discusses This In A Fall 2017 Article in ABA’s Section of Litigation News Magazine. In an article in the Fall 2017 edition of the ABA’s Litigation News magazine, Charles S. Fax, Litigation News Associate Editor, observes that at the time his article went to press only four cases had discussed costs-shifting after 2015 amendments to Federal Rule of Civil Procedure 26 expressly allowed for the court to order allocation of expenses against a discovery-requesting party. The reported decisions, with varying results, are In re Buccaneer Resources, LLC, 2015 Bankr. LEXIS 4203 (Bankr. S.D. Tex. Dec. 10, 2015); Gaudet v. GE Industrial Services, 2015 U.S Dist. LEXIS 59902 (E.D. La. May 5, 2016); U.S. ex rel. Bibby and Donnelly v. Wells Fargo Bank, N.A., 2016 U.S. Dist. LEXIS 178458 (N.D. Ga. May 26, 2016); and Lopez v. United States, 2017 U.S. Dist. LEXIS 40739 (S.D. Cal. Mar. 21, 2017). In trying to determine why there were so few reported decisions, Mr. Fax suggests that the answer may lie in the intersection of other amendments in 2015, such as the proportionality rule, narrowing the scope of discovery to information “relevant to a claim or defense,” elimination of the language “reasonably calculated to lead to the discovery of admissible evidence” in Rule 26(b), and the in terrorem effect of Rule 37(e) sanctions for willful e-discovery violations. 4/3 DCA Choose Calhoun Over Dicta In Champion/L.B.S. Boyd Jones doing his arithmetic lesson at the blackboard in the Alexander Community School in Greene County, Georgia. Nov. 1941. Jack Delano, photographer. Library of Congress. Plaintiff’s appeal was dismissed for failure to satisfy the $5,000 appealability threshold. In this regard, the 4/3 DCA panel agreed with the “non-aggregation” analysis of Calhoun v. Vallejo City Unified School Dist., 20 Cal.App.4th 39, 45 (1993), which rejected contrary dicta in Champion/L.B.S. Associates Development Co. v. E-Z Serve Petroleum Mktg., Inc., 15 Cal.App.4th 56, 59-60 (1993). Acting Presiding Justice Moore authored the 3-0 opinion. Requested Discovery Was Relevant To Discovery On Punitive Damages Financial Condition Where Trial Court Allowed Civil Code Section 3295 Discovery. In Johnson v. Superior Court (Parker), Case No. C070028 (3d Dist. Sept. 28, 2016) (unpublished), the Third District denied the defendants’ mandate petition to prevent discovery of the amount and source of attorney’s fees paid and owed to the defense after the trial judge allowed punitive damages financial condition discovery under Civil Code section 3295. The defense claimed the information was protected by the attorney-client privilege, with plaintiffs challenging this because they did not want the retainer agreement but only information regarding the amount of attorney’s fees paid by defendants. The Third District sided with plaintiffs, citing In re Michaelson, 511 F.2d 882, 888 (9th Cir. 1975) for the proposition that the fact of a retainer, the identity of a client, the conditions of employment, and the amount of the fees and who paid do not come within the scope of the privilege and the information was relevant as to defendants’ financial condition. Playing Racial/Religion Discrimination Card And Attacking Opposing Counsel/The Court Did Not “Play” Well For Ex-Husband In Bitter Custody Dispute. Well, this next case – Marriage of Salas and Farraj, Case No. B252053 (2d Dist., Div. 7 Sept. 1, 2015) (unpublished) – is a good lesson for family law practitioners to not play the discrimination card or to attack opposing counsel/the court even if the client insists on it. The upshot may well be client exposure for Family Code section 271 sanctions which frustrate efforts to settle or to informally resolve normally contentious dissolution matters. In this one, ex-husband got in a bitter custody/visitation dispute after his ex-wife and child moved to India. Emotions obviously raged, but ex-husband apparently played the racial/religious discrimination card, engaged in lots of discovery disputes, and attacked ex-wife’s counsel/the court. The lower court eventually awarded postjudgment discovery sanctions against ex-husband as well as substantial 217 sanctions of $123,087.50. Most of it got affirmed on appeal, or will be after a remand. Even though a litigant cannot aggregate discovery sanctions to meet the $5,000 appealability threshold, the nuance here was that this was a postjudgment award which is expressly appealable. On the 271 sanctions, there was a remand because the lower court did draw a “time demarcation” line, finding efforts on attacking a psychiatric report and initially challenging the move-away order were not sanctionable in nature. However, because the time demarcation was not firmly taken into account, the sanctions had to be revisited in a post-remand proceeding. No One Prevailed in This Case, Both Trial and Appellate Courts Agreed, Under The Facts—But Prior Discovery Sanctions Award Did Survive. The California Disabled Persons Act (Civ. Code, § 54 et seq.) [DPA] does have a reciprocal fee-shifting provision in favor of a “prevailing party.” (Unlike the American with Disabilities Act [ADA], which requires a showing of frivolousness or unreasonableness in order to fee shift against a disabled person, the California statutory equivalent does not have a similar requirement.) With that in mind, Pineda v. Bekhor, Case No. B255583 (2d Dist., Div. 1 Mar. 13, 2015) (unpublished) focused on a lower court’s determination that neither plaintiff nor defendant prevailed after plaintiff voluntarily dismissed a case after architectural barrier corrections were made. Plaintiff sued because a towel dispenser was mounted too high above a floor in defendant’s coin-operated laundry facility, based on both the ADA and DPA. Within 30 days after service of the complaint, defendant lowered the towel dispenser so as to be disability compliant. Defendant did win $2,160 in discovery sanctions along the way. Then, one week later, plaintiff dismissed with prejudice, but never paid the sanctions order. Los Angeles County Superior Court Judge Helen Bendix, sitting by assignment, authored the 3-0 opinion. Nokia Receives $1.5 Million And Apple About $894,000. U.S. Magistrate Judge Paul Grewal of the Northern District of California, on June 20, 2014, ordered Quinn Emanuel Urquhart & Sullivan LLP and its client Samsung Electronics Co. Ltd. to pay more than $2 million in sanctions for disclosing confidential terms of a patent license between Apple Inc. and Nokia Corp. to Samsung. What happened was that a junior associate failed to redact confidential license terms (which were “attorneys’ eyes only” designated and safeguarded by a protective order) from an expert report. These terms were distributed to Samsung in violation of the protective order, with Samsung trying to exploit the terms in negotiations with Nokia. Parties Agreed to Settlement Where Neither Plaintiff Nor His Attorneys Liable for Discovery Sanctions, Mooting the Appeal. Ya know, sometimes you should simply throw in the towel once a dispute has been resolved, aiding the appellate court in saving some resources so that they can dismiss an appeal without the need for an opinion, published or unpublished. Perez v. Back Flip Software, Inc., Case No. H038426 (6th Dist. June 24, 2014) (unpublished) involved just this sort of situation. Both sides in a case filed dueling motions to compel, with the lower court sanctioning both sides (including attorneys for plaintiff) to the tune of $5,320 in discovery sanctions of a monetary nature. One side appealed but had the appeal dismissed after failing to file an appellant’s opening brief. Then, a settlement agreement was reached between the parties by which the remaining side and his attorneys were absolved from liability for the sanctions award. The remaining side’s appeal was dismissed based on the settlement. However, the attorneys persisted in the appeal, but the appellate court dismissed their appeal. The reason is pretty simple—the settlement agreement resolved the sanctions exposure with respect to the attorneys, so the appeal was moot. “Walking Out and Not Coming Back” Is Not a Legitimate Option. The defense in Fletcher v. HPN Holdings, Case No. F064864 (5th Dist. Apr. 8, 2014) (unpublished) was sanctioned $6,000 under CCP §2023.030(a), inclusive of attorney’s fees for bringing the motion to compel and arguing it, for failing to honor an agreement to take PMK depositions past the discovery cut-off. (This agreement was memorialized through renewed deposition notices and a trial court continuance stipulation.) However, at the time of the PMK depositions, defense counsel was bothered by the scope of the deposition and both he/deponent walked out of the deposition. Both the lower and appellate courts were not impressed with this conduct, determining that “walking out and not coming back, and not appearing at the other scheduled depositions, were not among [the defense’s] legitimate options.” Also, defense counsel failed to properly suspend the deposition to move for a protective order. Besides affirming the sanctions order, the appellate court denied the defense effort to dismiss the appeal after oral argument—determining the opinion should be issued for the education of the bench and the bar. So, if you are going to seek a dismissal, do it earlier and do it much earlier than after oral argument! BLAWG BONUS: Eddie Kendricks – Keep on Truckin’. Appeals Court Affirms Denial of Sanctions But Remands for Cost-Shifting in Favor of Non-Party in FRCP 45 Subpoena Dispute. The Ninth Circuit has ended the year with a “bang” as far as clarifying non-party appeal rights and the circumstances under which subpoena compliance cost shifting is mandatory under F.R.Civ.P. 45. The opinion in which this occurred is Legal Voice v. Stormans Inc., Case No. 12-35224 (9th Cir. Dec. 31, 2013) (published), authored by Circuit Judge Tashima for a 3-0 panel. In this one, plaintiffs served a subpoena duces tecum on Law Center, a non-party that had participated in the FDA’s rule-making process regarding emergency contraception dispersals by pharmacists in the State of Washington. Law Center objected to the subpoena and argued that the costs of complying with it should be borne by plaintiffs. The district court denied Law Center’s motion for sanctions under FRCP 45 and its motion for costs shifting under the same federal procedural rule. The Ninth Circuit affirmed in part and reversed in part, remanding for a cost allocation consideration in favor of non-party. At the outset, the appeals court decided an issue of first impression about appealability. The Ninth Circuit decided that a non-party may appeal an interlocutory order within 30 days from entry of final judgment to the same extent a party could appeal such interlocutory order. So, the appeal was timely even though the non-party appealed from the final judgment rather than prior interlocutory orders. Following Linder v. Calero-Portocarrero, 251 F.3d 178 (D.C. Cir. 2001), the Ninth Circuit then decided that the district judge erred in not entertaining Law Center’s cost-shifting request under Rule 45 based on a flawed “undue burden” test. The correct test was whether the non-party faced a significant expense in complying with the subpoena, with the proof below showing it did—evidence demonstrated it had spent $20,000 so far in complying with the subpoena, a significant cost for purposes of cost-shifting analysis. However, the denial of sanctions to the non-party Law Center was no abuse of discretion. The subpoena was not facially overbroad, and there was no evidence of bad faith/improper motive by Plaintiffs, especially given some ambiguity in two prior discovery orders issued by the district judge. The matter was remanded for consideration of cost allocation in non-party’s favor under Rule 45. $6,000 Aggregate Sanctions for Three Separate Discovery Motions Did Not Meet $5,000 Minimum Appellate Threshold. In order to be appealable, an order imposing a monetary sanction must exceed $5,000. (Code Civ. Proc., § 904.1(a)(12).) However, what happens when a litigant appeals a $6,000 reduced sanctions award where the opponent filed three separate discovery motions to compel/sanctions requesting separate sanctions which would way exceed the $5,000 threshold amount? Bayati v. Town Square M. Properties LLC, Case No. B245695 (2d Dist., Div. 3 Oct. 7, 2013) (unpublished) considered that circumstance and decided that the $6,000 sanctions should be allocated $2k/$2k/$2k for purposes of appealability, dismissing the appeal because the sanctions were below the $5,000 threshold. Appealing party argued an aggregation theory based on the $6,000 total sanctions award, while the opponent argued that basically the trial court granted sanctions of only $2,000 per motion so the $5,000 appealability threshold was not satisfied. Opponent got the better side of the argument. Although indicating it was not necessarily fond of “aggregation” dicta in Champion/L.B.S. Associates Development Co. v. E-Z Serve Petroleum Marketing, Inc., 15 Cal.App.4th 56, 59-60 (1993), the Bayati court found that the sanctions before it were based on distinct misconduct rather than unified conduct found persuasive in Champion. Because the amount of sanctions per motion did not reach the $5,000 appeal threshold, appeal dismissed. Trial Court Lacked Jurisdiction to Impose Discovery Sanctions. In Ayala v. Gutierrez, Case No. B243006 (2d Dist., Div. 2 Sept. 3, 2013) (unpublished), defendants filed a motion for leave to file a cross-complaint and a motion to compel discovery (including a request for sanctions) against plaintiff. Before the motions were heard, plaintiff dismissed her action with prejudice. However, the lower court entertained the motions anyway, granting all of the motions and ordering plaintiff to pay defendants $760.50 in discovery sanctions. Plaintiff’s appeal was treated as an extraordinary writ, and the writ was issued by the appellate court. In Leeyer v. Pro Circuit Products, Inc., Case No. 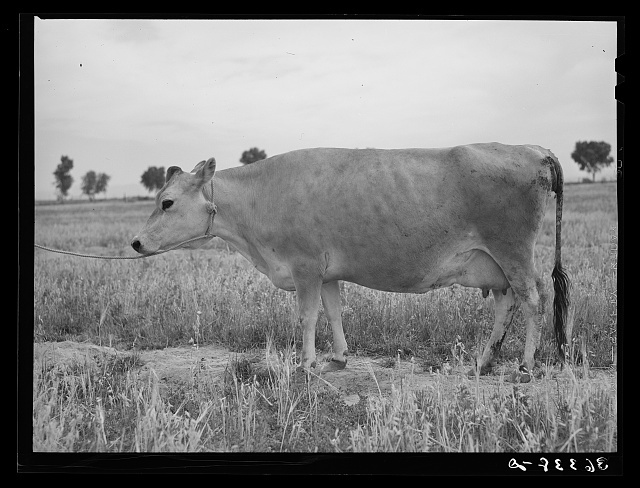 D059660 (4th Dist., Div. 1 Mar. 19, 2013) (unpublished), an attorney was hit with $6,400 in discovery sanctions under CCP § 2030.030 for not abiding with the terms of a court order regarding the form of a letter sent to defendant’s customers buying a certain motorcycle part involved in the underlying action. Attorney, on appeal, argued that this noncompliance was not expressly enumerated within the list of “misuse of the discovery process” violations, which only dealt with formal discovery requests. That argument was not persuasive to the appellate court, because the misuse “menu list” is only illustrative, not exclusive in nature, and attorney’s noncompliance with a court order in this situation certainly fell within the parameters of conduct which could give rise to sanctions. We thank reader Kurt Yap for educating us on these two issues. What happens if you are an in pro per litigant and want to obtain discovery sanctions for the work you did (based on them being akin to attorney’s fees as if the work had been done by a retained outside attorney)? Answer: you can’t based on Argaman v. Ratan, 73 Cal.App.4th 1173, 1175 (1999), where the appellate court held that a party in pro per (although an attorney) cannot be awarded attorney’s fees as a discovery sanction. What happens if you are an in pro per litigant, defeat an action, and win a CCP section 128.7 motion? Can you get attorney’s fees for winning the sanctions motion? Answer: No, that too was foreclosed in Musaelin v. Adams, 45 Cal.App.4th 512, 514-515, 521 (2009). Only $1 Million Reduction From Fees Requested. Patent/trade secrets are usually vigorously and heavily litigated, and the losers can get hit with substantial fees/expenses as Gabriel Techs., Corp. v. Qualcomm, Inc., Case No. 08CV1992 AJB (MDD), 2013 WL 410103 (S.D.Cal. Feb. 1, 2013) demonstrates. There, plaintiffs lost a patent infringement/trade secrets case. But that was hardly the finish of the story. The district judge then awarded winning defendants $12,465,331.01 in attorney’s fees and electronic discovery expenses because the patent and misappropriation claims were objectively baseless and pursued in bad faith. (35 U.S.C. § 285 [patent] and California Civil Code § 3426.4 [trade secret misappropriation] are statutes allowing for fee shifting in these situations.) No apportionment was necessary because each of Plaintiffs’ claims were within the ambit of one of the statutes. The district judge assessed $64,316.50 in fees against local counsel, finding that sanctions were warranted under Fed.R.Civ.P. 11 for counsel’s failure to conduct a sufficient inquiry into the merits of Plaintiffs’ case after the judge warned about substantial deficiencies in the case and ordered posting of an $800,000 bond. The fee request was only reduced by $1 million, based on the district judge’s view that it was proper to limit the imposition of fees to those incurred after entry of the bond order. A February 19, 2013 post on the on-line version of the ABA Journal has some interesting tidbits and suggestions in the eDiscovery area. In line with results from a Compliance, Governance and Oversight Counsel (CGOC) survey, the average legal department spends approximately $3 million per discovery to gather and prepare information for opposing counsel in litigation. The RAND Institute for Civil Justice has published a 2012 study that points out the cost of legal review for privilege and responsiveness costs an average of $0.73 for every dollar spent on eDiscovery. The average civil eDiscovery matter can include between 3 and 5 GB of potentially responsive ESI per employee. 1 GB of data can contain between 10,000 and 75,000 pages of content; and, multiplying that by 3 means you are conservatively looking at between 30,000 and 50,000 pages of content that should be reviewed for relevancy and privilege per employee. The task and expense gets daunting when one also considers litigation and eDiscovery usually includes more than one employer, ranging anywhere from two to hundreds of employees. This review process is the largest single expense in the eDiscovery process. 4. Pressure external law firms for lower rates. The post also discusses the traditional “linear review” process, where documents are divvied up and distributed to individual reviewers, which may lead to inefficiencies due to inconsistencies in review (unless very precise guidelines have been put in place). Our Tally Shows Over $1.66 Million In Sanctions Sustained On Appeal. Russell Lee, photographer. May 1940. Library of Congress. What then happened in two convoluted discovery abuse proceedings is that the lower court issues monetary sanctions in terms of attorney’s fees exceeding $1.66 million, monetary sanctions for a court-appointed computer expert and future costs related to the expert/court reporters/videographers, and eventually imposed issue and evidentiary sanction that impeded the defense and helped plaintiffs greatly at a 25-day trial producing a verdict against the defense. The defense appealed the discovery abuse sanctions, but to no avail. Substantial evidence supported the lower court’s sanctions, given extremely detailed rulings of a lengthy nature. Unlike some federal decisions, California does not require an evidentiary hearing with live testimony, with only a nonevidentiary hearing allowing an opportunity to be heard required--something accomplished here. Finally, the monetary sanctions were compensatory rather than punitive in nature. Opposite Side Did Not Raise Lack of Capacity by Answer or Demurrer, So No Dice On Sanctions. In V & P Trading Co., Inc. v. United Charter, LLC, Case No. C070571 (3d Dist. Dec. 19, 2012) (published), the trial court denied a motion to compel by a suspended corporation and awarded monetary sanctions to opponent/its attorneys based on the lack of capacity. Eventually, a summary judgment was granted against suspended corporation on theory that the statute of limitations ran against its claims while the corporation was suspended. The appellate court reversed the sanctions award. Although the summary judgment merits ruling was upheld, the sanctions award was overturned because the motion to compel was erroneously granted. After all, lack of capacity for a suspended corporation needs to be raised by answer and demurrer such that it should not have been a basis to deny the motion to compel under the circumstances. Discovery, Mediation, and RFA Sanctions Denied. Hi, folks. Although we are in the Holidays (busy at that), we do like to report on decisions that have issues of recurring interest to California litigators. The next one should be a case that peaks such an interest and provides resonant lessons to us all -- but no good night to all, too early for that. Resurrection v. Northeast Community Clinic, Case No. B239289 (2d Dist., Div. 5 Dec. 18, 2012) (unpublished) is a situation where an appealing plaintiff was denied monetary sanctions for claimed discovery violations, mediation noncompliance violations, and request for admissions costs-of-proof contentions. Plaintiff also was shut out on appeal. We now list why. Second, we come to the settlement/mediation requested sanctions. Plaintiff was upset that an insurance representative did not personally attend (yes, because this was an unusual “consent” policy), although the East Coast representative was available by phone. No abuse of discretion in denying sanctions given the nature of the policy and the representative’s willingness to be telephonically available. Third, the last request for costs-of-proof sanctions for not admitting requests for admissions which were supposedly proven at trial. (Code Civ. Proc., § 2033.420.) On this one, plaintiff did not prove RFA certification issues at trial and did not move for further RFA responses, so the trial court did not err in failing to grant sanctions. We hope all you practitioners enjoyed this one! In Optimum Processing Solutions, L.L.C. v. Intel Corp., Civ. No. 1:09-cv-1098-TCB (N.D. Ga.) [Doc. 271 filed Sept. 14, 2012), District Judge Timothy C. Batten, Sr. has decided that Acacia Research subsidiary Optimum Processing Solutions, L.L.C. (OPS) will have to pay fees and expenses under F.R.Civ. P. 37 for Intel’s motion to compel respecting an inadequate document production in a patent prosecution case. The problem here was that OPS represented that there were no documents produced prior to a certain date relating to a particular licensing agreement, but these representations were not correct. The district judge found that there was no substantial justification for its actions, because it never explained why a folder by folder comparison was not made before production and why it made the representation without verifying from every employee that pertinent files were loaded in the repository. A further hearing was set on fees and expenses, if OPS and Intel cannot reach agreement on what is a reasonable amount to be awarded as discovery sanctions. Federal Rule of Civil Procedure 45(c)(1) allows a district judge issuing a subpoena to award appropriate sanctions, including lost earnings and reasonable attorney’s fees, against a party or attorney responsible for issuing and serving a subpoena that imposes “undue burden or expense” on a person subject to the subpoena. In Mount Hope Church v. Bash Back!, Case No. 11-35632 (9th Cir. Nov. 26, 2012) (published), the Ninth Circuit reversed a $28,181.10 sanctions order comprised of fees and costs awarded to a third party under Rule 45(c)(1). It found that the “undue burden and expense” language was not satisfied where the costs of complying with the subpoena was minimal, it was not issued in bad faith, and it was not facially defective--engrafting the requirement that a violation of Rule 26(g) discovery principles is necessary in order to avoid chilling advocacy (punishing a litigant or attorney who ultimately lost the battle to sustain a subpoena on the merits, but otherwise demonstrated good faith in pursuing the litigant’s position). “They’re saved! They’re saved!” Sailor rescuing a woman and her child from the sea . The picture is a companion piece to John C. McRae's print "My child! My child!” circa 1855. Library of Congress. Trial Court Has Some Interesting Discussion of Trees Along the Way. DK Art Publishing, Inc. v. City Art, Inc., Case No. B229122 (2d Dist., Div. 5 Oct. 11, 2012) (unpublished) is a sober reminder that game playing in discovery proceedings can result in serious sanctions that will indeed be affirmed upon review by an appellate tribunal. In this one, a discovery referee made recommendations that were for the most part followed by a trial court after observing that plaintiff did not get requested information from defendant City Art after one year of meeting/conferring, inclusive of 55 meet/confer letters, two hours of in-person sessions, seven telephonic sessions lasting over 4 hours, and multiple withdrawn motions to compel by plaintiffs based on broken promises. In total, the trial court awarded $105,492.25 to plaintiff and against defendant City Art and its attorney, not surprisingly prompting an appeal. After dismissing challenges to the discovery referee’s disclosures and the appointment process, the appellate court affirmed the discovery sanctions. The discovery sanctions were justified under Code of Civil Procedure section 2023.030(a), which authorizes sanctions for evasive responses and counterproductive meet/confer activity. The appellate court found no substantial justification for the defense activities during discovery. Finally, defense counsel was liable for sanctions under Ghanooni v. Super Shuttle of L.A., 20 Cal.App.4th 256, 261 (1993) because he was an active participant in the discovery abuse and the case does not narrowly hold that he was only liable for advice given to the client in the discovery context. 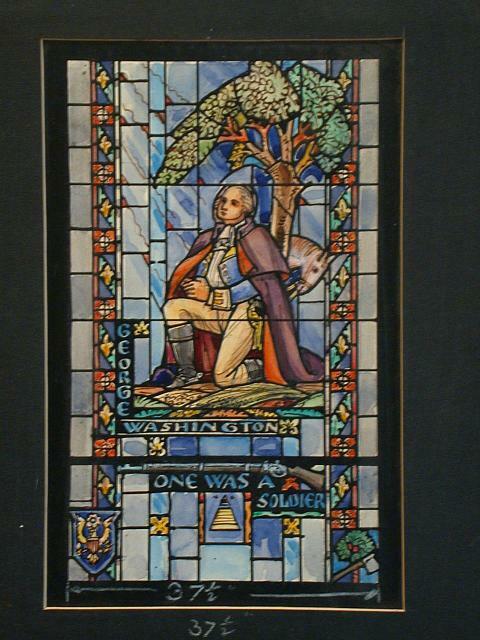 Design drawing for stained glass window showing George Washington in uniform, with rays of divine light, and icons: rifle, cherry tree, axe, Masonic pyramid/all-seeing-eye, Great Seal of the United States; with text "One was a soldier". Library of Congress. Appeal Dismissed Because Unscheduled Property Cannot Be Abandoned at Close of Bankruptcy Proceeding. Lamas v. Infinity Ins. Co., Case No. B233042 (2d Dist., Div. 1 Aug. 23, 2012) (unpublished; 3-0 decision authored by Justice Johnson) is a situation where plaintiff appealed some discovery sanctions even though she had filed for Chapter 7 bankruptcy and failed to disclose the lawsuit in her bankruptcy schedules. She then appealed the adverse discovery sanctions.